Do helmets really help to prevent children and teens from sustaining serious and life-threatening traumatic brain injuries (TBIs)? According to a recent report from Fox 5 San Diego, a teen athlete at Torrey Pines High School recently shared how wearing a helmet while skateboarding could have changed his life by preventing the severe head trauma he sustained. Brian Applegate, a 17-year-old former star athlete and water polo player in Southern California, was forced to “relearn everything after a skateboarding accident in May left him with a severe brain injury.” Indeed, Applegate “spent 5 weeks in a coma and underwent several surgeries.” Now that his life is no longer in danger, he “spends hours in daily rehabilitation, relearning everything from walking, to talking, to basics like catching a ball.” And he knows that his life-threatening injuries could have been prevented if he had only worn a helmet. Brian and his family want to raise awareness about the important link between helmet use and brain injury prevention. As Brian explains, “you could die if you hit your head when you’re skateboarding.” As such, he emphasizes that “it’s just so important to remember” to wear a helmet. Brian’s mother hopes that other California families will hear the story about her son or listen to his words in order to prevent child injuries in the future. After all, her son’s injury simply “was avoidable,” as she articulates. Although Brian is in the process of recovery, he isn’t living life like a normal San Diego-area teenagers. To be sure, his mother emphasizes that Brian has “a long road ahead” as he continues to make progress after sustaining the severe TBI that nearly took his life. The helmet law is intended to prevent precisely the type of injury that Brian sustained as a result of failing to wear protective gear. To be sure, a 2009 study from the Journal of Pediatrics reported that injury rates for children and teens are approximately 20 percent lower in states with helmet laws, suggesting that helmets really are an important preventive tool. 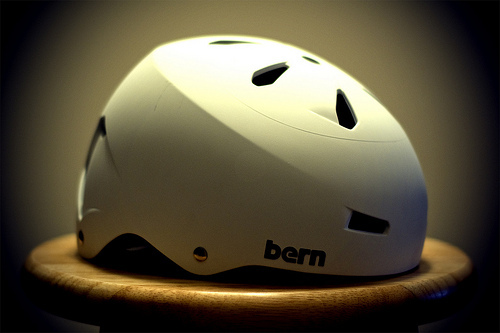 It’s important to impress upon our children that helmets can prevent serious brain injuries. Whether our kids are riding bicycles, playing contact sports, or using skateboards, helmets are an essential piece of protective equipment. If your child recently sustained a TBI, it’s important to contact an experienced San Diego brain injury attorney. You may be able to file a claim for compensation.